American artist Adam Pendleton’s exhibition titled shot him in the face occupies the entire third floor of KW with one large-scale gesture—a wall that diagonally cuts across the exhibition space. The first sentence from the poem Albany by poet Ron Silliman functions as the exhibition’s point of departure. 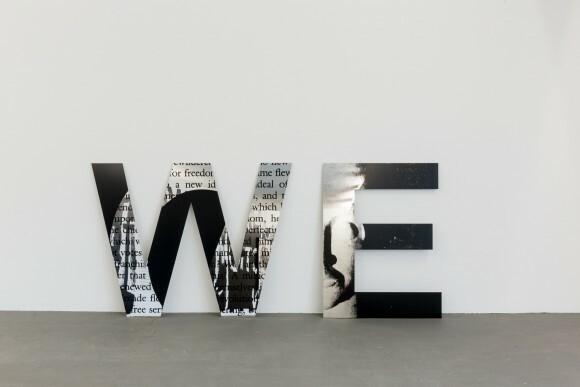 Pendleton appropriates the opening words of the text—“If the function of writing is to ‘express the world’“— and transforms it into monumental work spanning the entirety of the constructed wall. Layers upon layers of Pendleton’s works are also “pasted” onto the wall. These various arrangements, including posters, framed collages, and sculptural objects based on Pendleton’s extensive archival material, incorporate images from various sources—all kept within a consistently black-and-white aesthetic. 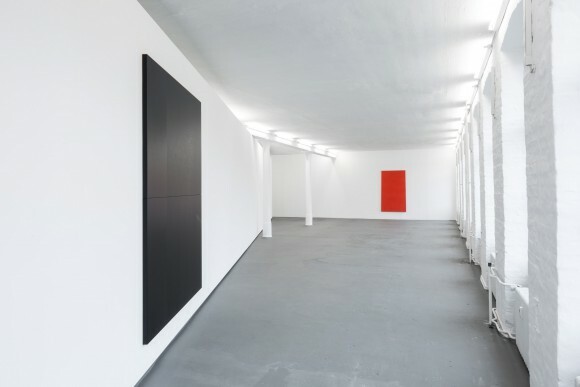 As a counterpoint to Pendleton’s work, the exhibition includes one of Ian Wilson’s monochromatic paintings, which were created with the conceptual aim of producing distilled, non-referential objects without metaphoric content. 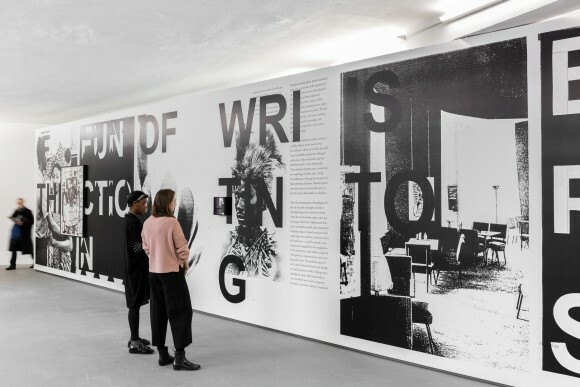 The exhibition series Ian Wilson: Hanne Lippard, Adam Pendleton, and Paul Elliman is funded by the Capital Cultural Fund, Berlin. 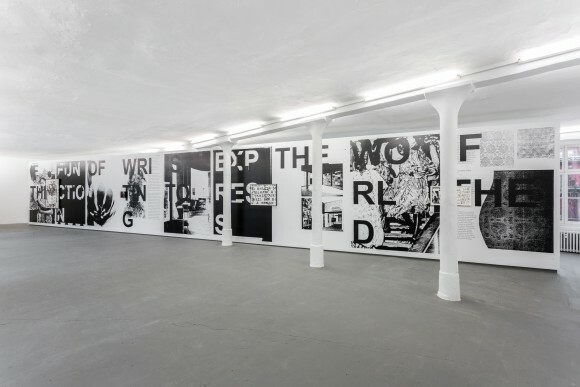 The exhibition Adam Pendleton: shot him in the face is generously supported by Pace Gallery, Galerie Eva Presenhuber, Zurich, Galeria Pedro Cera, Lisbon, and the Baltic Centre for Contemporary Art in Gateshead, where it will be presented from May 27 to September 10, 2017.